Your brain is the epicenter of all functions in your body. When you stub your toe, that’s your brain telling your toe to hurt. When you feel happiness, that’s your brain producing the right neurotransmitters in order to feel emotion. When you move your arm, that’s your brain sending signals to your arm to lift. You get the point. 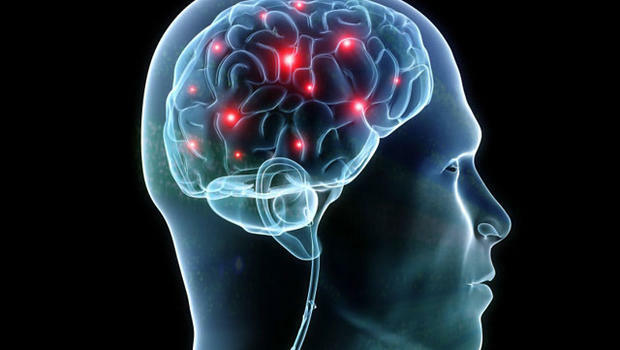 From basic movements to human emotion, your brain controls it all. Just like any other part of the body, your brain needs to stay in good health and be exercised. Exhaustion, lethargy, forgetfulness, and even headaches can be a result of poor brain health. For a while it was believed that aging and memory loss were effects of neurons in the brain dying or just stopping function all together. Neuroscientists thought that we were given a certain amount of neurons at birth and they depleted over time. Furthermore, once our stash was gone, it was gone and there was no renewal of the neurons. Or, so they thought. New research shows that dopamine can promote the production of new neurons in the brain. Not only that, the new neurons that were produced were associated with increased brain function. So, not only can new neurons be formed, but they’re higher quality neurons. While there’s hope for the creation of new neurons, there’s still one drawback: The brain still ages over time. Its mass and volume both decrease. That means that eventually, even though more neurons are created, they don’t have an unlimited place in which to be stored. It’s not just increased age that contributes to the brain capacity getting smaller, it has a lot to do with the life that we lead. A number of studies show that chronic conditions such as diabetes as well as poor health habits and conditions like smoking and obesity certainly sped up the brain shrinking process. Even lack of exercise can trigger malfunctioning brain changes. Variety is the spice of life – Many of us have a specific routine that we like to stick to. We get out of bed at the same time, we eat at the same time, and we exercise at the same time. Routine is comfortable. Routine is easy. Routine may be too comfortable and too easy. Just like switching up your daily regimen can break the boredom cycle, it can also encourage the brain to get outside of its own limitations. Eventually, the brain starts to believe that the routine is all that it’s capable of. It’s not a coincidence that you can automatically get out of bed and walk to the kitchen in the morning without thinking. Your brain is driving you. Challenge your brain. It’s healthy for you. Feed your brain the good stuff – Yep! We’re talking about real food. Not only does a balanced, clean diet help your body stay healthy, but it keeps your brain at its peak performance too. Eating foods that are high in Omega 3 fatty acids helps the brain to concentrate, focus, and improved memory. Instead of reaching for that cup of coffee at noon when you feel the mid-day slump coming, consider taking a Fish Oil supplement each day in order to naturally and consistently keep your brain at its peak performance. Work out – and we don’t just mean your body: Yes, physical workouts are incredible. But brain workouts are just as important. Doing brain teasers, playing brain games, and solving puzzles that are geared toward brain development help you to use different parts of the brain in conjunction with each other which promotes mental sharpness. There are a few simple exercises that you can do, and you may actually FEEL your brain working: Try brushing your teeth or combing your hair with your non dominant hand. Or, write a series of words of colors down in contrasting colors. For example, write the word “Blue” with a green crayon. Write the word “Yellow” with a red crayon, and so on. Make about 10 different cards like this, and as you flip through them, try to say the color that the word is written in and not the word. Switch it up and try saying the word and not the color. These types of exercises help your brain stay on its game. Learn new things: It’s important that you don’t become stagnant in your skills. No matter how great you are at reading a book cover to cover in just a day, consider learning how to play the piano, or doing arts and crafts. Having your brain memorize new things is a way to keep it active. Volunteer For A Good Cause: A number of studies show that volunteering for a good cause (bonus points if it’s for a cause that you truly care about) can lower anxiety and stress levels as well as promote a sense of overall wellbeing. In a life that’s filled with bills, responsibilities, work, and other adult-like things, it’s great to take some of the stress off while helping others. Get social – It doesn’t matter how much of an introvert that you are or that your latest personality assessment showed you, people need other people. We are social animals that thrive in groups. We scientifically need a level of social activity in order to maintain optimum brain health. This doesn’t mean that you need to spend every waking moment with another person. Alone-time to recharge is perfectly okay, but spending time with people that share your same interests is incredibly beneficial to your overall sense of well-being. Lack of social interaction can have a negative effect on memory and mood. In fact, older adults who are less socially active have shown increased cognitive and physical limitations. So, get out there, talk a little, hang out a little, and spend a little time with people. Your brain wants it. We’re often terribly afraid to grow older and forgetting our family members and friends. While nothing can stop us from getting older until we really find that elusive fountain of youth, keeping your mind sharp and working out your brain can definitely make the quality of your life much greater, no matter how long you live. It’s not about adding more days to your life, it’s about adding more life to your days.